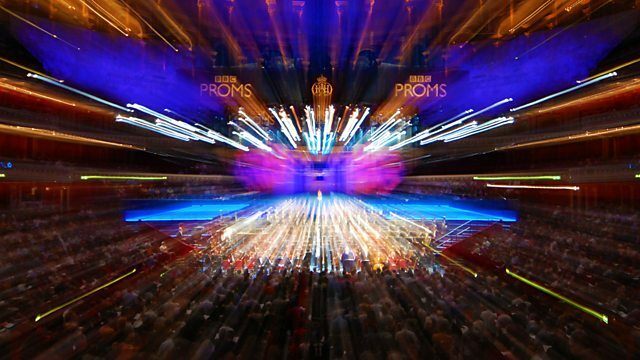 Ian McMillan, Jackie Kay and Judith Palmer are joined at Imperial College by the winning poets whose writing has been prompted by music at the 2016 Proms. Reader: Stella Gonet. Judges Ian McMillan - poet and presenter of The Verb, Jackie Kay - Scottish Makar and Judith Palmer - director of The Poetry Society are joined on stage by the winning poets whose writing has been prompted by music from this year's Proms. The reader is Stella Gonet. for what we didn't know was there. a torch-full of past, banging at the sides of this glass. for what we didn’t know was there. And I have learned each triplet, each repeat. My fingers numb, my knowledge is complete. Discard the page: the day is filled with light. Skeleton soaring, bones come to life. My hands in your blood. You are here; you have escaped.